The centre government has announced the launch of the new scheme for the aged artists and national scholars. 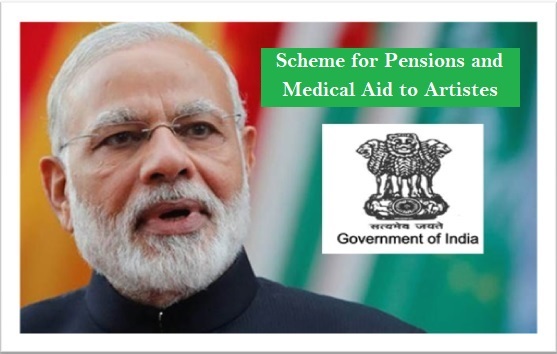 The new scheme is termed as “Scheme for Pension and Medical Aid to Artistes”. It is a type of pension and medical assistance scheme that will offer with financial benefits to the old artist and scholars nationwide. The new scheme will be completely implemented and regulated by the Ministry of Culture, Nationwide. The announced for launch and implementation was made by the government on 3rd Jan 2018 officially in a parliamentary session, held at Rajya Sabha. The announcement for launch and implementation was officially made by Dr. Mahesh Sharma – Minister for state (IC) / environment, climate and forest change Minister. The central government and Ministry has already announced that the beneficiaries under the Pension and Medical scheme would be country wide scholars and Artists who are of 60 years and above age limit. With the implementation of this scheme the government aims at helping the social economic status and financial condition of the renowned scholars and artists to improve. To make it more effective the government will ensure that the scheme is well implemented. Under this scheme the government also aims at offering financial assistance to the scholars and artists on monthly basis. The scheme will provide with a provision where a pension amount will be paid to the beneficiary on regular basis. The amount for the pension will be shared amongst the Quota released by the UT/ State and central government jointly. In this combined effort it has been clearly stated that the burden of Rs 500 every month for each beneficiary will borne by the UT and state Administration authorities. The scheme also ensures that the additional amount of Rs 3500 on monthly basis for each of the beneficiary registered under the pension scheme will be borne by the Central government. Apart from this the authorities have also made it clear that the Ministry has also included a provision for offering beneficiaries registered under the scheme with Medical Aid facilities. The facility will also ensure complete coverage for the Artist/ scholar and their spouse. They would be offered with complete health care benefit that shall be offered by one of the health care scheme that is presently operated and run by the Central and State government. This amount can be used by the beneficiaries for health care treatments and hospitalization expenses. By implementing the above mentioned pension scheme the government has made its motive clear about how sensitive it is regarding offering assistance to the aged artist and scholars.